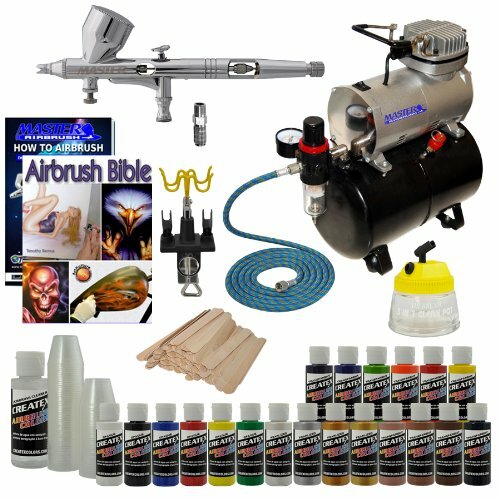 This All-in-One Premium Kit is perfect for drawing, painting, cake decorating, cosmetics, nail art, tanning, temporary tattoos, auto-body works, crafts and many other hobbies. 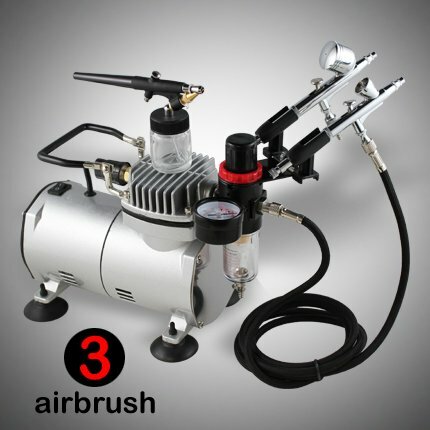 – This High Performance compressor has been designed for users who need high quality spraying effect. Maintenance free, Single Cylinder Piston and Quiet. 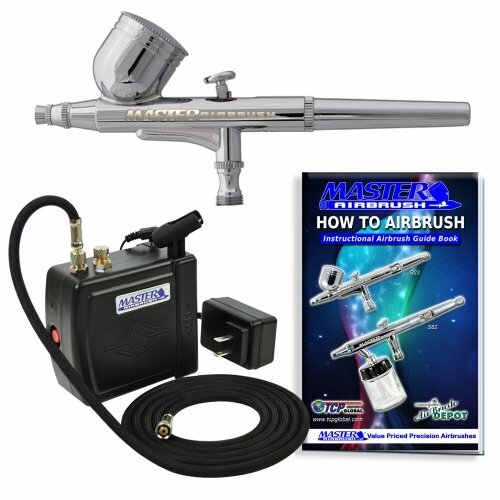 – Powerful Air Pressure (PSI) at 1/6 Horsepower, delivers more air volume than any airbrush demands. 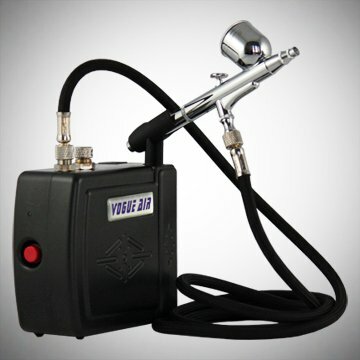 – Auto-stop Energy Saving : Pressure start at 43 PSI and stop at 57 PSI when not spraying. This enables a longer compressor life from less motor wear and heat moisture. 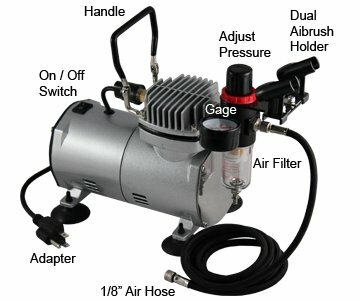 – Internal hot protection device, the compressor will auto cut off the power when its about to over heat, and reset after the motor cool down. 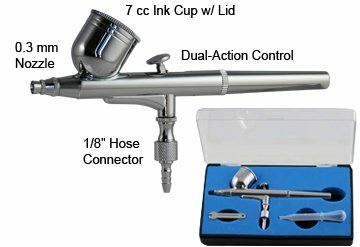 – Includes : 6 ft Air Hose with air-proof rubber, 1/8″ Connector. 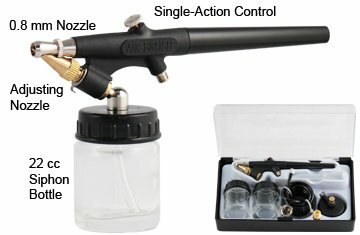 Dual Airbrush Holder. Air Inlet and Outlet Filter. 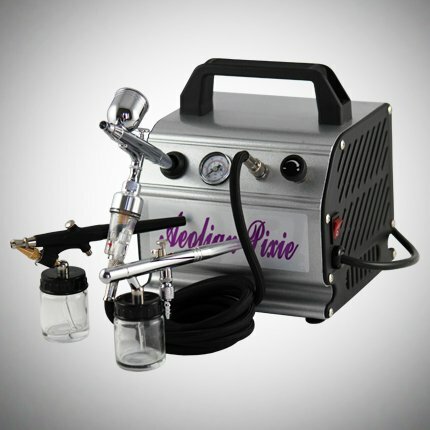 – Removable back handle cover for adjusting the thin spraying line. 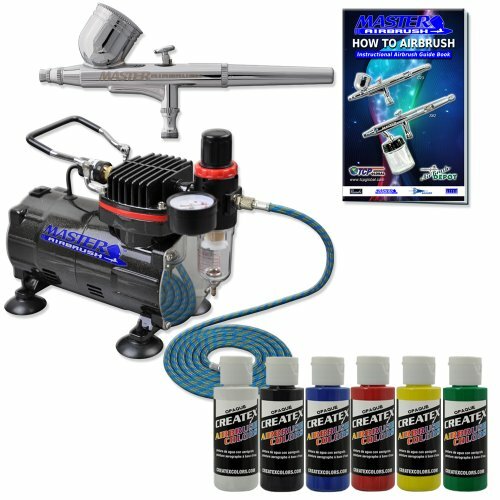 – Excellent for applications that require detail spraying or quick color changes with small amounts of fluid. 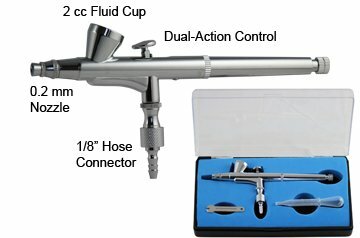 – Includes M5 to 1/8″ Connector Fitting for when using 1/8″ size Air Hose.